This weekend, in theory, could mark the start of legal, regulated sports betting in Mississippi. The state’s gaming commission approved regulations on June 21, and the 30-day waiting period to offer sports betting ends over the weekend. But eager bettors in the Magnolia State will have to keep counting “one Mississippi, two Mississippi, three Mississippi” a little while longer. Expectations are that sports betting will be live before the NFL season begins, but probably not before the month of July is over, and definitely not on the first day of eligibility. According to the Sun Herald, no operator has provided an opening date yet, though some are hinting it will come soon. On June 21, MGM Resorts excitedly tweeted, “It’s official! @BeauBiloxi and @GoldStrikeMGM will welcome sports wagering 7.21.18.” The tweet was later deleted. That should tell us all we need to know about whether betting windows will be open for business this weekend. When betting starts, where can you do it? According to the regulations Mississippi approved, wagering will only be allowed in casinos. That’s not as limiting as it might sound — there are 32 casinos in the state. 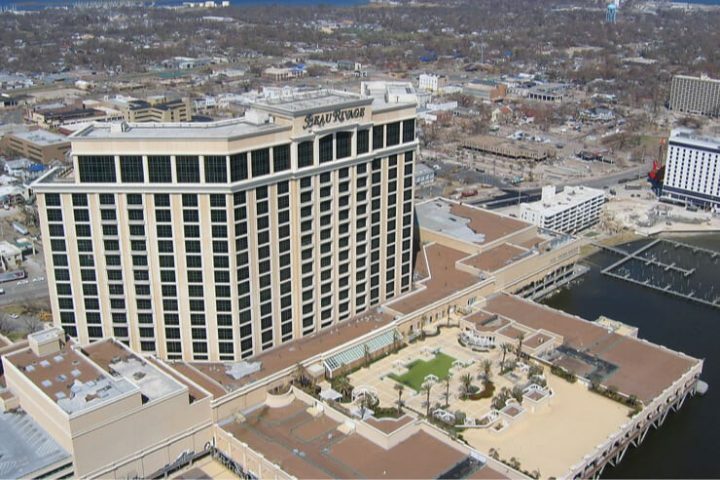 Several submitted paperwork to offer sports betting early, including Palace Casino, Beau Rivage, Harrah’s Gulf Coast, Boomtown Biloxi, and Hollywood Casino. There are 12 casinos in South Mississippi, and the Sun Herald reports that all of them plan to feature sports betting. Want to bet on college sports? You’re in luck. That hot-button issue is not an issue according to the Mississippi regulations. Want to bet on political events? You’re out of luck. Mississippi is sticking to the trivial stuff that’s decided on the field, not the more serious stuff that’s decided in the voting booth. While we are seemingly just days away from mobile sports betting in New Jersey, Mississippi regulators aren’t as keen on the idea. That definitely stands to take some taxable revenue off the table, and every bit will help given that projections for annual sports betting tax revenue are under $10 million. That’s a very modest figure, when you consider some have projected Pennsylvania to generate $100 million a year. Mississippi casinos were booming some 20 years ago, and the city of Tunica was at one point the third biggest gambling destination in the U.S. But with the proliferation of casinos, spreading to other states in the same region, traffic in the Mississippi casinos has been on the decline. The hope was that by getting out in front of things and preemptively creating a law in 2017 that would allow sports betting if the Supreme Court ever gave it the go-ahead — which it did on May 14, 2018 — Mississippi casinos would boast a new draw. As it stands now, Mississippi is the only state in the southeast ready to offer sports betting. Louisiana and South Carolina have both introduced bills, and otherwise there’s been little movement in the region. That will be an especially big deal when college football kicks off, given all the SEC powerhouses in neighboring states. Fans of Alabama, Auburn, and LSU may well head to the Magnolia State to place their bets since they won’t be able to do so legally in their home states. Assuming Mississippi does start taking bets sometime in the next couple of weeks, it’s positioned to become only the fourth state to get in on this rapidly expanding venture. Prior to the reversal of PASPA in May, Nevada was the only state with fully legal sports betting. Delaware and New Jersey both got in on the act this year, sports betting is legal — but not yet live — in Pennsylvania, New York, Rhode Island, and West Virginia, and 12 additional states have introduced legislation. By NFL season, there could be about a half-dozen states taking bets. Though Mississippi casinos are currently taking their time and making sure to execute properly, it should be all-systems-go long before the opening kickoff.